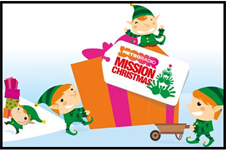 The School Council have decided to support a local charity this year and have chosen the ‘Metro Radio Mission Christmas Appeal’. Please click on the icon below to find out more information. Redesdale School Council have been working hard on a child friendly Anti-Bullying leaflet for Anti-Bullying Week. The School Council presented the leaflet to the whole school in assembly and talked about how together we can STOP bullying! Mr Thorp, our Chair of Governors, attended the assembly and was very impressed with the School Council. Every child in school will receive a copy of the leaflet. We are so proud of the children. Please click on the icon below to see what the children have produced.